You may think that you can’t install new paving around your building unless the season allows it. Not so. When you make Hal’s Construction your paving company in Portland, OR, you hire a company that can work all year round, winter or summer. We have over 40 years of experience in the industry, so no matter what temperatures the Pacific Northwest experiences, we can finish your paving project. We can build new parking lots, roads, and subdivisions for commercial and residential clients. 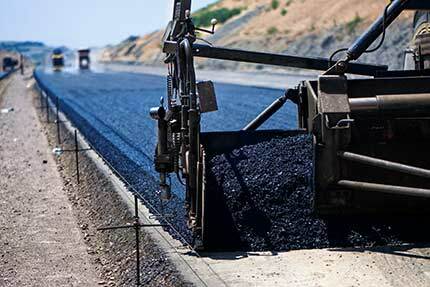 We use different kinds of asphalt to ensure your new pavement meets your needs. Our asphalt mix designs range from 3/8″ to 3/4″ stones. After we meet with you, we’ll let you know which design works best for your application. Additionally, we know that asphalt pavement is only as sturdy as its base. With this knowledge in mind, we recommend a rock base at least 6″ deep with a secondary asphalt base at least 2″ thick. We may even recommend a thicker base if your pavement will carry heavy vehicles or see a lot of traffic. After all, if your road has the right base, you won’t have to repair it or replace it as often. Not only do we do new paving jobs, we also perform road and parking lot repair for Portland, OR businesses. We can patch everything from the smallest pothole to the largest sinkhole. We can also restore your pavement’s appearance when cracks appear in it. We’ll simply remove the damaged asphalt, repair the base, and place a new pavement layer. To prevent future damage, we can also install root barriers, asphalt curbs, and water berms. Call us today at 503.226.4999 to schedule new road construction or parking lot repaving in Portland, OR. You can also fill out the form on this page for a free estimate. Municipalities need frequent attention for regular maintenance needs and emergency repairs. Localities that call Oregon City, OR and its surrounding areas home have many asphalt roadways traveled daily by residents, workers and visitors. Local roadways remain subject to constant wear and erosion caused by local weather patterns. Hal’s Construction is a municipal paving contractor with crews comprised of skilled technicians and experienced managers who frequently and regularly deliver project objectives on municipal budgets and timelines. 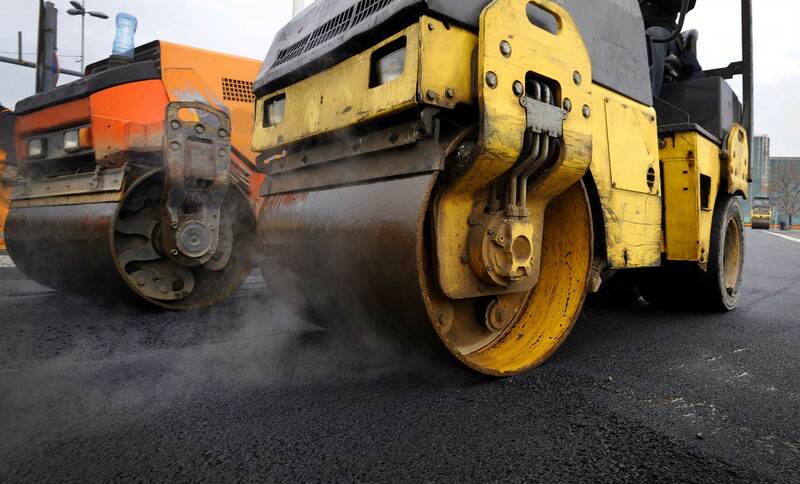 As a municipal paving contractor, Hal’s Construction provides paving, excavation, sealcoating, adjustments to asphalt related to Americans with Disability Acts regulations, sports fields labor and concrete installation and repair services. Oregon is frequently subject to precipitation and so Hal’s Construction crews are experts at grading roads and providing storm drainage solutions. Bio swells, detention ponds, catch basins and rain gardens are only some of the services the municipal paving teams have perfected to meet client driven demands. Hal’s Construction also performs mundane seasonal services to maintain the condition of concrete and asphalt paving pathways including snow removal and maintenance contracts for those cities who need a reliable contractor for a city’s on-call needs. Hal’s Construction works in all seasons and weather at client demand. The crews work to support the city or town’s needs to maintain ease and accessibility for all of the locality’s residents, workers and visitors. Call Hal’s Construction for the best municipal paving crews to be had.